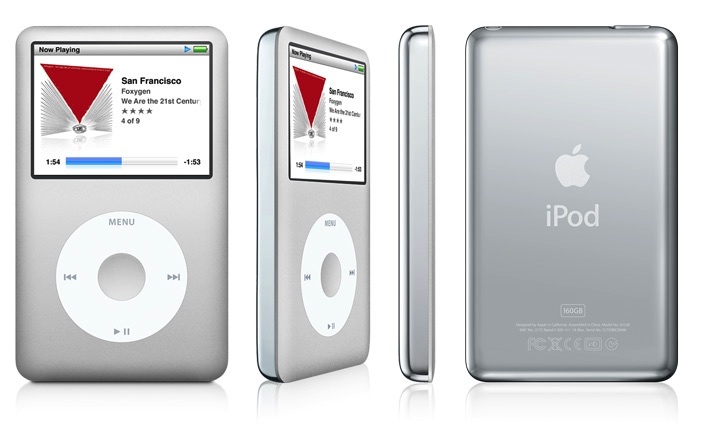 Apple this week is battling a decade-old class-action lawsuit by iPod owners angry that their media players were locked to Apple's iTunes ecosystem. Key pieces of evidence in the trial include email conversations among Apple executives and a videotaped deposition of Steve Jobs, both of which were made public for the first time this week as part of the court proceedings. According to CNN Money and Reuters, the question-and-answer session with Steve Jobs focused on Apple's response to RealNetworks and its Harmony music service. In 2004, RealNetworks created this competing music service that allowed users to download songs and play them on any media device, including the iPod. RealNetworks' iPod support incensed Apple, which published a press release accusing RealNetworks of hacking the iPod. Apple adopted this strategy following a series of emails between Apple marketing head Phil Schiller and CEO Steve Jobs. "How's this?" Jobs wrote. "We are stunned that Real is adopting the tactics and ethics of a hacker and breaking into the iPod." "I like likening them to hackers," Apple marketing chief Philip Schiller responded. When asked if this response to RealNetworks was "strong and vehement," Jobs replied, "They don't sound too angry to me when I read them," adding that, "A strong response from Apple would be a lawsuit." During the deposition, Jobs reportedly was snarky, asking "Do they still exist?" when referring to RealNetworks. Jobs also was evasive in his testimony, responding 74 times with "I don't remember," "I don't know" or "I don't recall." When he did answer questions, Jobs painted Apple as a company being held hostage by the major music labels, which required digital rights management (DRM) on iTunes music as part of their contract terms. Apple claimed it had to repeatedly update iTunes to patch holes in its DRM or risk forfeiting these contracts. The class action case started earlier this week and is being heard in the U.S. District Court in the Northern District of California. Apple marketing head Phil Schiller and senior vice president of Internet Software and Services Eddy Cue are expected to testify as part of the ongoing court proceedings. I miss the combative Steve Jobs. He never shied from controversy. "The class-action suit was filed in January 2005 by a customer complaining about the exclusive nature of Apple's digital music offerings encoded with FairPlay, preventing users from playing music purchased from the iTunes Store on other companies' music players and other music stores' digital offerings from being played on iPods." They should be suing the music companies for forcing Apple to use DRM in the first place. I'm going to file a lawsuit against Android devices because I'm 'locked in' to the Android ecosystem and cannot use iOS applications. I think it was less snarky and more arrogant and self-righteous. Sorry, he may have been a consumer visionary and possibly a genius, but a nice guy he was not. He was just as ruthless as any other corporate figure who would be vilified for similar tactics. He didn't suffer fools and he spoke up when the rest of us keep our mouths shut because he had the power to. He didn't have to be a nice guy. He was heading off a major corporation in a business where the tech world is dog eat dog. His ruthless, arrogance and self-righteousness brought a company that was about to close up shop to the most valuable company worldwide. I have no idea why people here expected a Steve Jobs (A CEO) to be nice guy. They act as if he was suppose to be the MR member's friend. My stove won't open PDFs, **** you Kenmore..
iPhone 6 would probably be the size of the 5.